The Concordia University Part-Time Faculty Association voted 95 per cent in favour of an unlimited strike mandate should collective bargaining negotiations fail. CUPFA held a special general assembly Sunday to discuss options to pressure the administration at Concordia to forego amendments to the collective agreement. The most recent contract expired Aug. 31 and part-time faculty members are not content with the proposal offered by the university. In March, the association requested that Concordia issue a protocol in order to agree on how to proceed and sign a new collective agreement. Following nine separate meetings between administration and CUPFA, a protocol was signed on July 8. 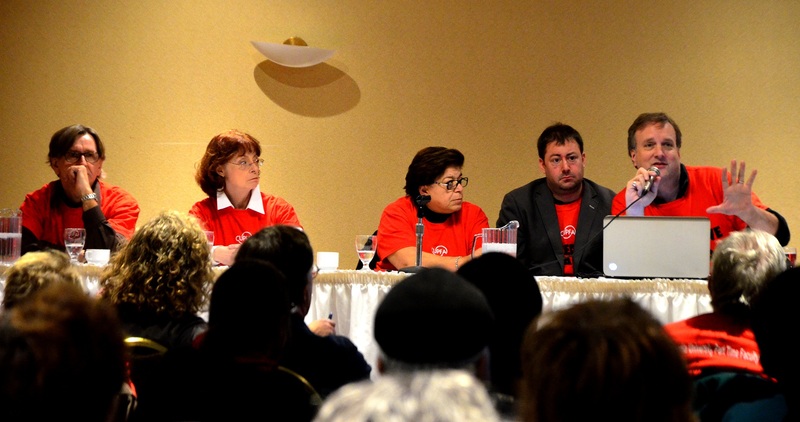 Negotiations were supposed to continue in August, however, Concordia decided to restructure the terms of the current collective agreement much to the dismay of CUPFA. The restructuring was unanimously rejected but the university is still pushing forward with the plan. Concordia’s deal proposed to isolate and de-link salary rates from other post-secondary institutions like Université de Montréal and Université du Québec à Montréal which means their salaries would not change despite what is happening at sister universities. Furthermore, the university wants to impose restrictions on retirement and leaves, as well as having control over the hiring process of applicants vying for a part-time position, benefits and course evaluations. The university also wants to restructure seniority standing with a point system that would see current senior positions devalued. One of the concerns emphasized by CUPFA was the volume of grievances filed by professors during the last collective agreement. The negotiating team argued that the massive increase in grievances is due to Concordia not respecting aspects of the agreement since 2009. According to David Douglas, chair of communications, 21 grievances were filed this year so far and he expects as many as 30 complaints to be submitted by the end of 2012. Douglas believes the time to pressure the university’s collective bargaining committee is now. CUPFA is not willing to head to the bargaining table for an extended period as they did for their last contract. It took seven years, from 2002 to 2009, for two parties to reach a settlement and sign a contract. If the university and the union are unable to achieve a negotiation in the near future, CUPFA’s mandate to strike has the potential to paralyze Concordia with over 800 part-time professors teaching at Concordia now. For the time being, however, the impending strike remains a pressure tactic only.